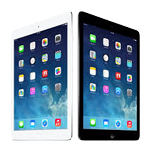 Refurbished, value for money iPad, PC desktop and laptop systems. We supply 2nd user, ex-demo, end of line and factory refurbished systems. They may not be the latest spec, but will get the job done and are certainly less expensive than brand new. Unless described as 'NEW', all systems are professionally factory refurbished to an "as new" condition. "Grade B Cosmetic" products may have slight case scratches. In many cases we can perform software or hardware upgrades. On-site installation is offered to clients in the SP and BH postcode areas. All quoted prices are for the basic machine as specified - upgrades, delivery and on-site installation are charged extra - do call for a quote. There are often only a few of these specific models available, so do act quickly if something takes your fancy. Please call if you can't see what you want as availability changes quickly with fresh stock becoming available almost daily. For more information please contact us by telephone or email.